It’s that time of the year again where families are gearing up, preparing to head to their different holiday destinations. As much as this is a period filled with excitement and anticipation, it’s also met with the frustration of planning and assembling of details. This is why Future Express has taken the liberty of sorting out one finer detail for you – which is to suggest and offer you the ideal family car that will provide you with ample space, ease of use and good entertainment for the road. Allow us to introduce you to the Hyundai H1; a model known as a “perennially popular people mover” that has become a serious contender and rival in the small bus, panel van and multi-cab segments. The Hyundai H1 was originally launched in 2009 and has become the South Korean automotive manufacturer’s leading & popular product. 10 493 units were sold since its local launch and the market has been receptive of the model for various reasons; with the main one being particularly its driveability and economy provided by the diesel engine. However, the attraction and appeal for the H1 grew after it underwent a facelift in 2016 that brought about new features and exciting additions. The refreshed exterior for starters, now includes a new grille design along with an all-new front bumper. It also sports new 16-inch redesigned alloy wheels, which complete the subtle facelift. The more major alterations have taken place with the interior and it now has a refreshed centre facia and a modern-looking dashboard. There’s also a fully automatic air conditioning system, electric folding mirrors, a chilled glove box, cruise control and a steering wheel and gearknob adorned in leather. The steering wheel this time has multi-function controls and the audio system gets Bluetooth connectivity. The Hyundai H1 guarantees ample space for multiple passengers and whatever items that may need room such as luggage, tents, sports equipment, bikes, etc. It has 851 litres of luggage space and a cabin interior with great visibility. 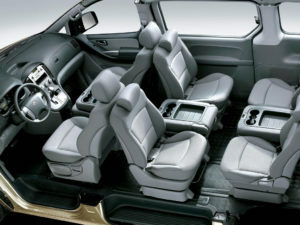 The vehicle is meant to carry nine passengers and has plenty of legroom with ventilation outlets. Speaking of ventilation – this is a feature crucial to have in a car given the hot weather we face during the festive season. The Korean bus has air conditioning vents in each row ideal for travelling long distance in summer. When combining performance and fuel efficiency; whether it is between the 2.4-litre multi-point injection petrol engine or 2.5-litre CRDi turbo diesel engine, the H1 oozes excellent performance and fuel economy. Its fuel consumption is a clear advantage as it’s something to consider as a priority regarding long distances and wanting to save on as much costs as possible. Wheels24’s Janine Van der Post shared her own views on the Hyundai H1 after driving down for family trip and she mentioned that “Another bonus is its fuel consumption. Speak to us today at Future Express about how we can help you have the most memorable trip this festive season. You can trust us to get you to your destination, on time and in style, safe and secure! Cars.co.za. 2017. Hyundai H1 (2016) First Drive – Cars.co.za. [ONLINE] Available at https://www.cars.co.za/motoring_news/hyundai-h1-2016-first-drive/42116/ . [Accessed 08 November 2017]. Cars.co.za. 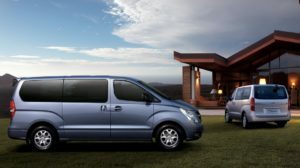 Hyundai H-1 2.5 VGTi 9-seater Bus (2016) Review – Cars.co.za. [ONLINE] Available at: https://www.cars.co.za/motoring_news/hyundai-h-1-25-vgti-9-seater-bus-2016-review/42222/ . [Accessed 08 November 2017]. 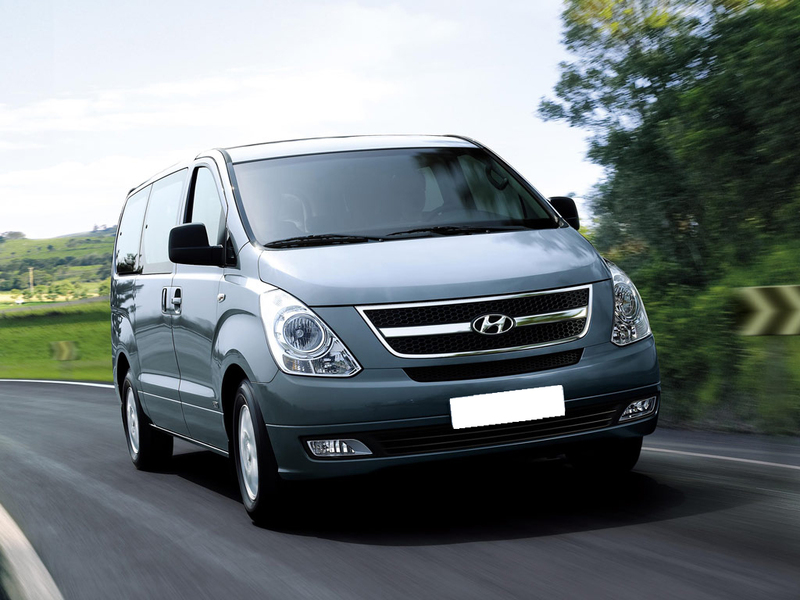 Hyundai H1 | 9 Seater Multi Purpose Vehicle | Passenger Cars. 2017. Hyundai H1 | 9 Seater Multi Purpose Vehicle | Passenger Cars. [ONLINE] Available at http://www.hyundai.co.za/passenger-vehicles/showroom/mpv/H1-9-seater/ . [Accessed 09 November 2017]. Hyundai Vehicles at Group 1 Motors. 2017. Hyundai H1 Bus, H1 Multicab 2017 – Price, Specs, Fuel consumption. [ONLINE] Available at https://www.group1hyundai.co.za/hyundai-h1-bus/ . [Accessed 07 November 2017]. Wheels. 2017. Review: Hyundai H1 goes ‘rogue’. | Wheels24. [ONLINE] Available at: http://www.wheels24.co.za/NewModels/review-hyundai-h1-goes-rogue-20160911 . [Accessed 08 November 2017].